Team Associated B6/B6D Titanium Screw Kit « Big Squid RC – RC Car and Truck News, Reviews, Videos, and More! Titanium Screw Kits are pretty trick. They are lighter than stock and are much more trick looking. Team Associated recently announced a Titanium screw kit for their B6 and B6D buggies. 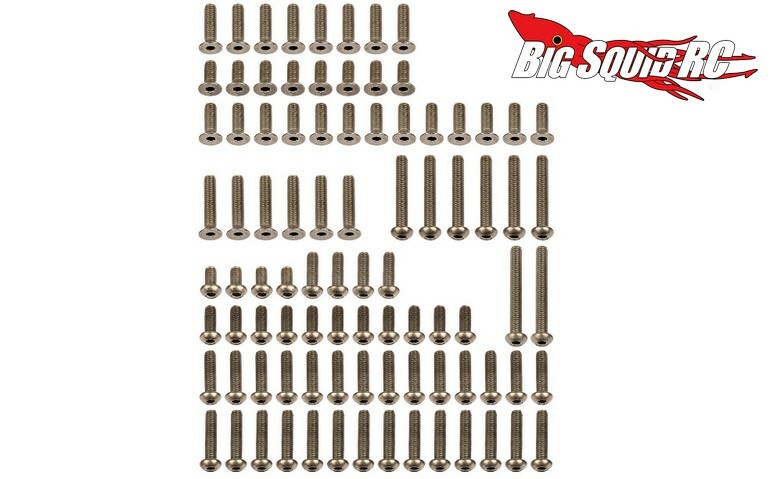 90 screws are included in all and they are sized to be perfect replacements for the stock fasteners. The set is priced at $46, it has a part number of #91755, they are shipping right now, and full details can be found over on Team Associated’s Official Website. Read up on more AE News right here on Big Squid.